A string of shameful errors means we miss just about everything we’ve come to see. What we do see however leaves a lasting impression. 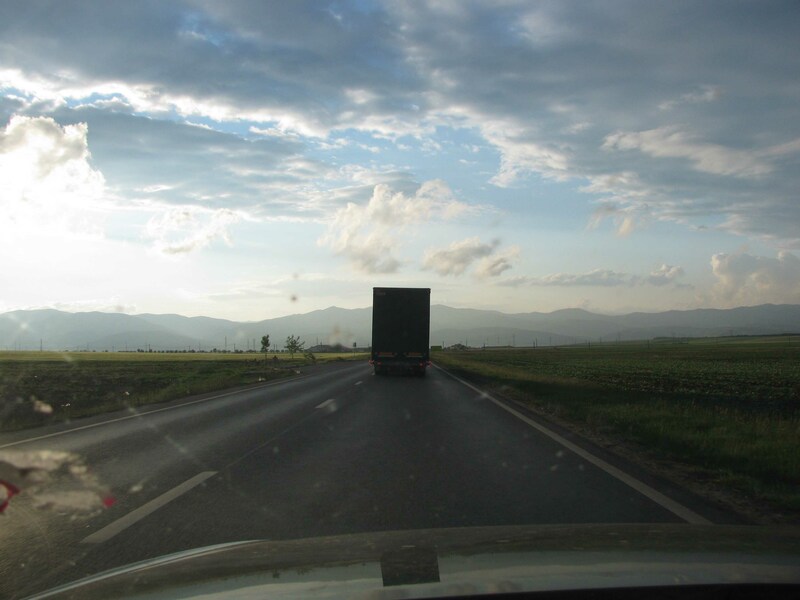 Giurgiu – Bucharest – Transfagarasan – Timisoara, 447 miles, 14 hours. The Giurgiu-Ruse Bridge over the Danube between Bulgaria and Romania. The woman in the booth has never heard of the United Kingdom, or Great Britain. She needs to know where we’re from so she can fill in the vignette we need to drive on Romanian roads. England? That she understands. (BTW, GB in Romanian is ‘Marea Britanie’. The vignette is €4 for a week). Lack of motorways is going to be a major factor today. 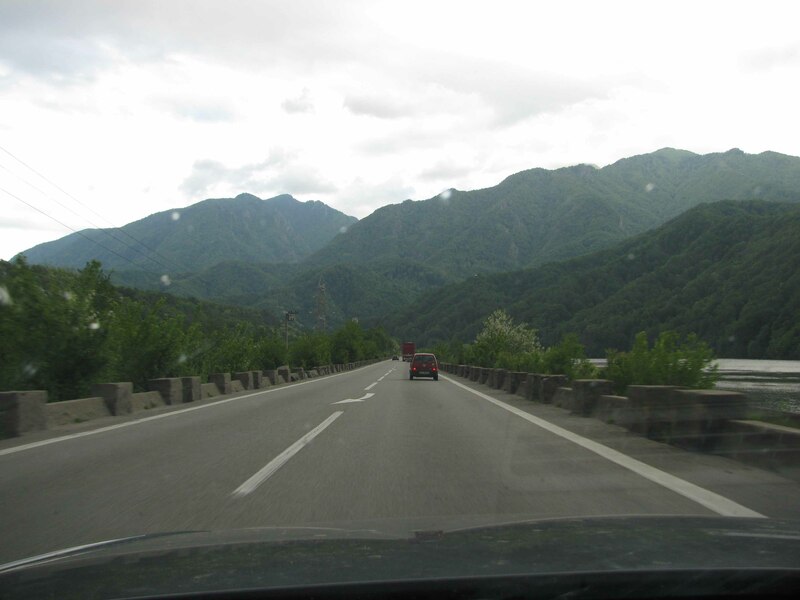 Romania lags behind even Bulgaria in fast-road building, not least because of the Carpathian Mountains which perform a spectacular left hand turn through the centre of the country. 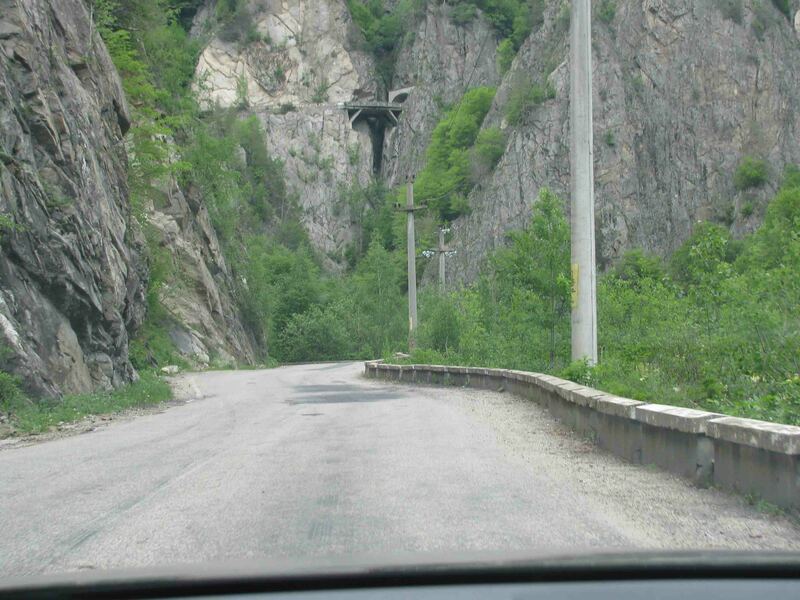 However, Romania is the home of Jeremy Clarkson’s ‘world’s best road’ Transfagarasan. 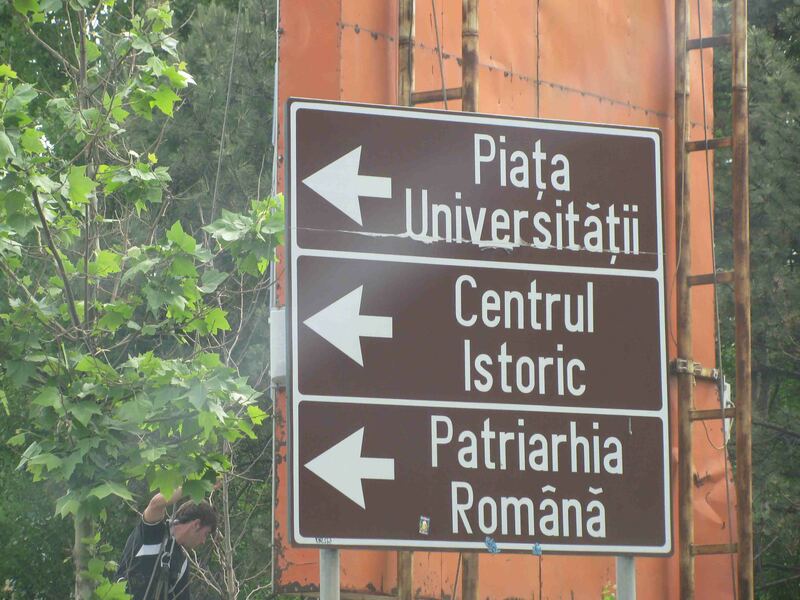 That’s where we’re headed after a drive through Bucharest. Exactly where we’re going after that we haven’t decided yet. Keeping rigidly to the initial 50kph (31mph) speed limit sees us overtaken by a truck. 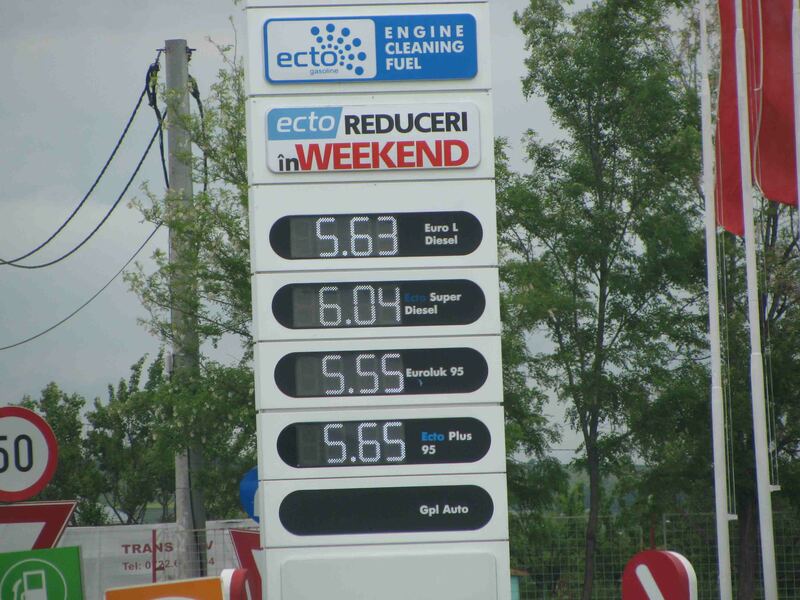 At today’s exchange rate – £1 is 5.13 Romanian New Leu (RON) – a litre of diesel costs £1.10. The landscape is rolling at best, but with spectacular mountains to look forward to further north. We’ve never heard of a place named after a date before. There’s a town on the 45 mile drive to Bucharest called ’1 Decembrie’, commemorating the day in 1918 when Transylvania broke away from the Austro-Hungarian empire to complete modern day Romania. Bellu Cemetery, Calea Serban Voda (E70/85). 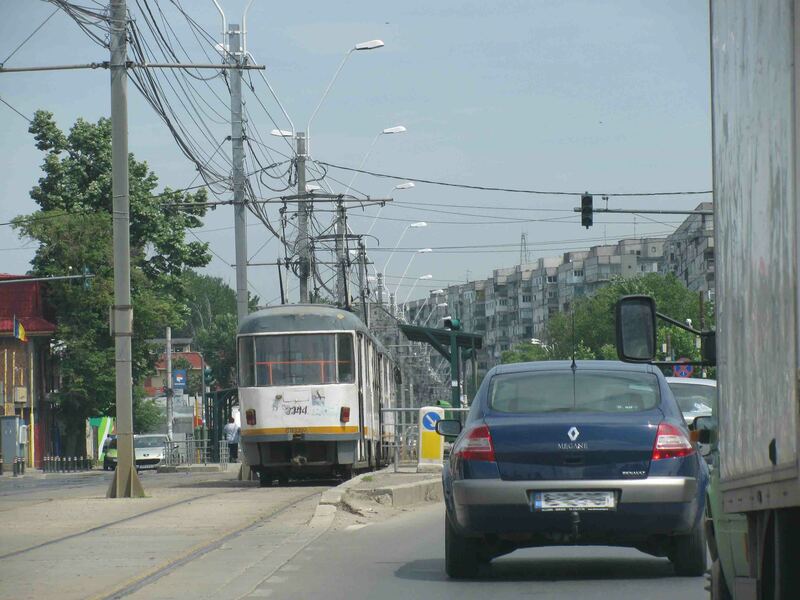 E70/85, now Calea Serban Voda, makes its final curl into the city centre around Tineretului Park and Bellu Cemetery, the largest and most famous in Romania. The inscription reads ‘Earthly Happiness, Heavenly Glory’. Many notables are buried here including Ion Diaconescu, the Romanian Nelson Mandela. He spent 17 years in prison from 1947, the first days of the Communist regime, then became a leading political figure after the 1989 revolution. Also, Henri Coanda the pioneering aerodynamicist. Needless to say the former dictator Nicolae Ceausescu is not buried here. 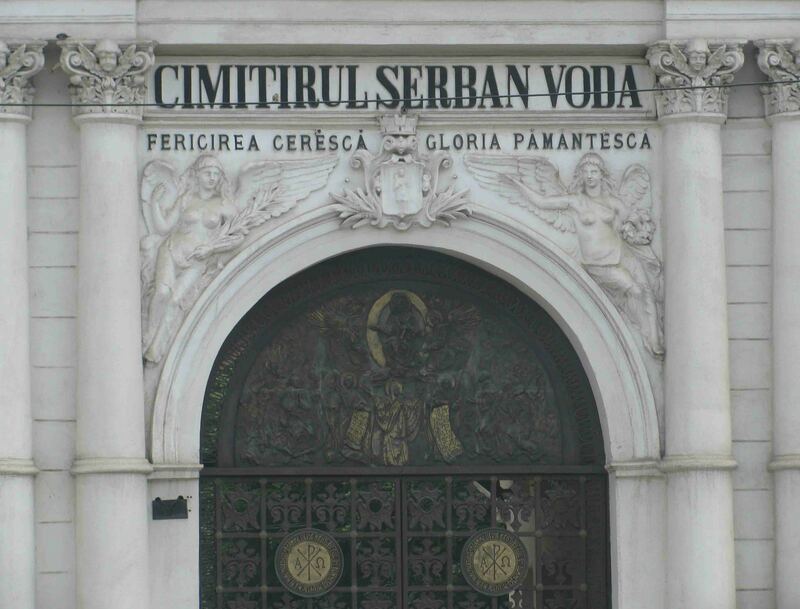 There’s an awkward moment as we turn off Serban Voda onto Boulevard Dimitrie Cantemir, the main north-south road through the city centre. Faced with three lanes of stationary traffic we just don’t know what to do. The guy behind seems keen so we let him past, sticking to his tail as he forces his way through. The opposing drivers look bored and shuffle out of the way. 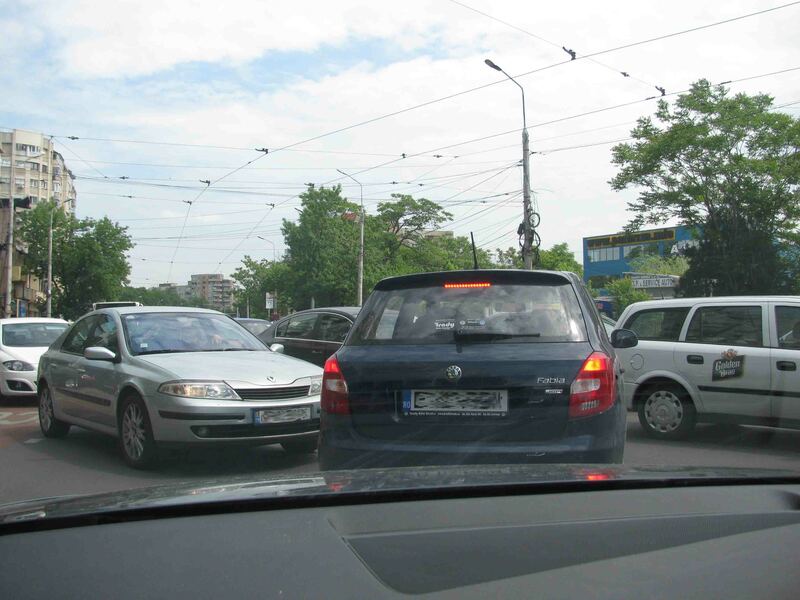 This is our only bad experience of the notorious Bucharest traffic. 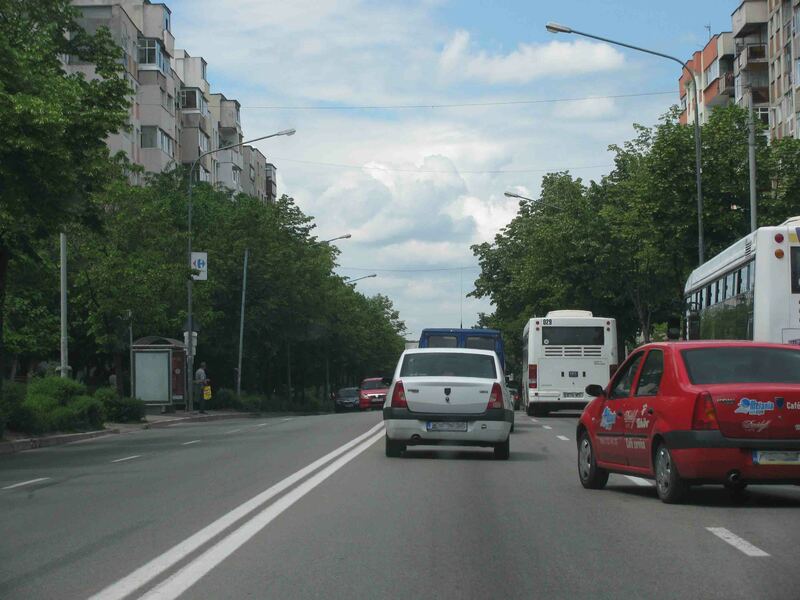 With nearly 1.5m cars for its 1.7m inhabitants, and a population density almost on a par with Thessaloniki, traffic and parking are major issues. This Tuesday lunchtime it’s busy but not gridlocked. Spoken Romanian sounds like any other east European ‘Russian-style’ language. Written down though its Latin roots are obvious. The Spanish and Romanians have a degree of mutual understanding. Blame the satnav. If only we’d looked left… Technically we do drive through the centre of Bucharest. ‘Kilometrul 0’ is just a bit further up on the right. But the actual centre of the city is here, the Pasajul Unirii tunnel, where Bvld Dimitrie Cantemir crosses Boulevard Unirii. Boulevard Unirii is the one that you want. At 1.2 miles long – 1m wider and 6m longer then the Champs Elysee – it has the monumental Palace of the Parliament at its west end. One of the world’s biggest buildings, memorably driven through on Top Gear, it was the centrepiece of Ceausescu’s ‘Centrul Civic’ mass rebuilding programme which saw 20% of the city centre bulldozed. The severe austerity needed to pay back the debts incurred by Centrul Civic lead to Ceausescu’s downfall. The brutal policy continued despite the money being repaid in early 1989. By mid-December protests were widespread. On Christmas Day 1989, Ceausescu and his wife Elena found themselves facing a firing squad. Lipscani: The older building on the right was lucky to escape not just Ceausescu but WW2 bombing and a devastating earthquake which hit in March 1977. Over 1,400 people died and tens of thousands of buildings were damaged. The Lipscani district, mainly to the north west of Pasajul Unirii, is virtually the only part of the old town still standing. 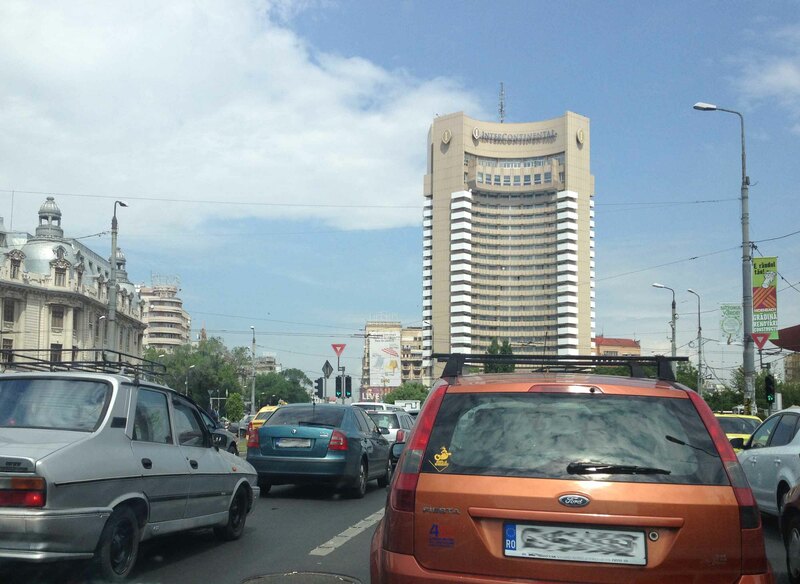 Two years after Ceausescu came to power in 1965, building started on the 25 story ‘Intercontinental Bucharest’ hotel. At this point he was still considered a progressive leader. In 1968 he denounced the Warsaw Pact invasion of Czechoslovakia and always pursued a foreign policy independent of the USSR. Most western journalists covering the 1989 Revolution stayed at the Intercontinental. Exactly like the Holiday Inn in Sarajevo, TV news pictures filmed from the upper floors – of the army firing on protestors in University Square below – has become stock footage of the events. With each room having a panoramic view of the city, it’s an obviously great place to stay. Prices start at €135. Finally, some proper Ceausescu architecture, on Victory Square, the major hub in the north west of the city centre. Similar to the apartment blocks opposite Ceausescu’s Palace, the style was directly inspired by his visit to North Korea in 1971, the pivotal moment in his rule. Soon after the personality cult and police state became overt. Under the all-seeing eyes of the fearsome Securitate, looking unhappy on Ceausescu’s birthday could get you into serious trouble. 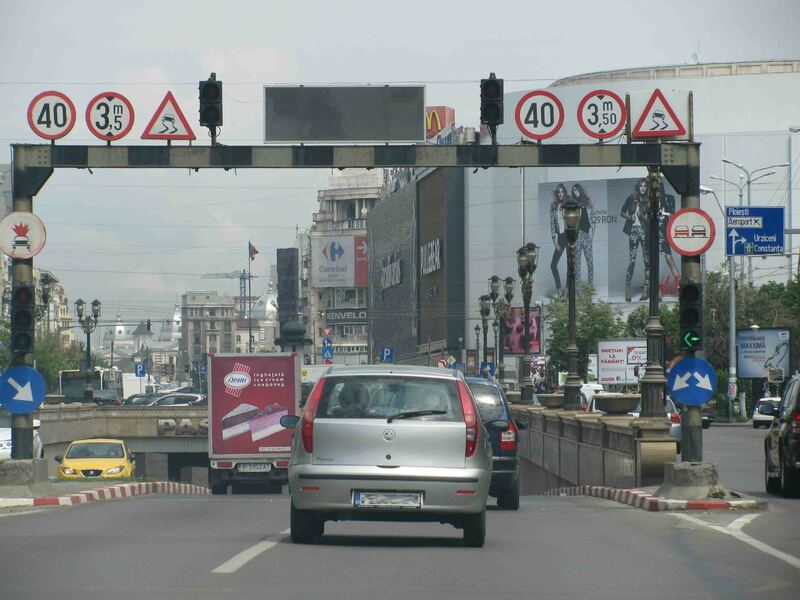 Bucharest’s own Arc de Triumf is on the middle of the three roads heading north from Victory Square. 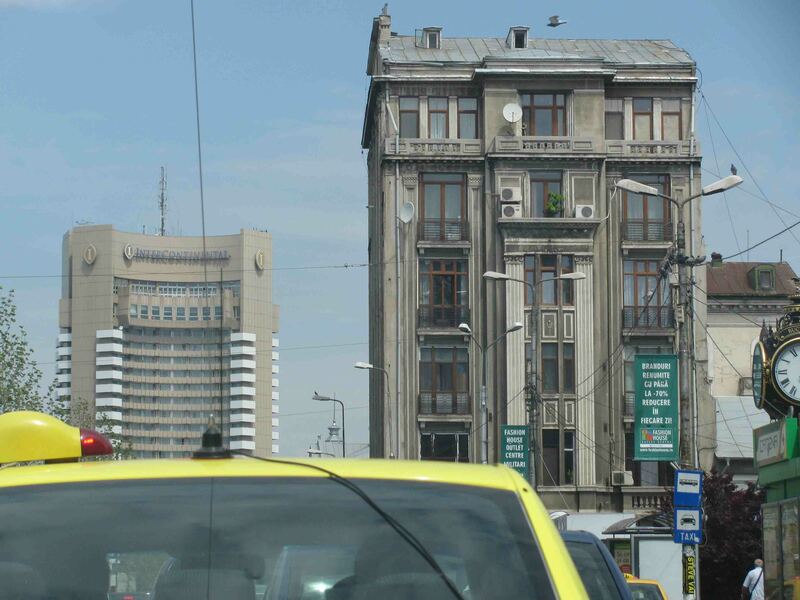 Bucharest is split into six districts but spookily they don’t have names, just numbers. 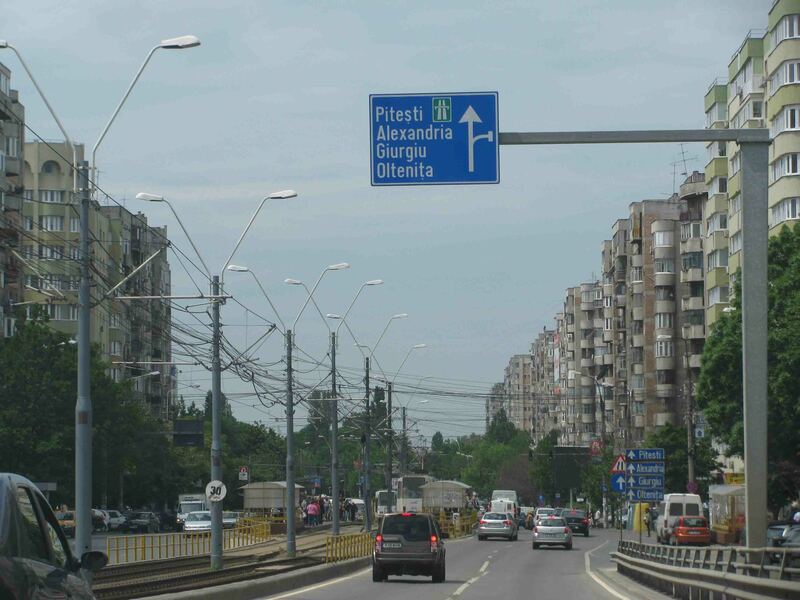 Sector 6 is in the west, roughly the right direction for Pitesti. 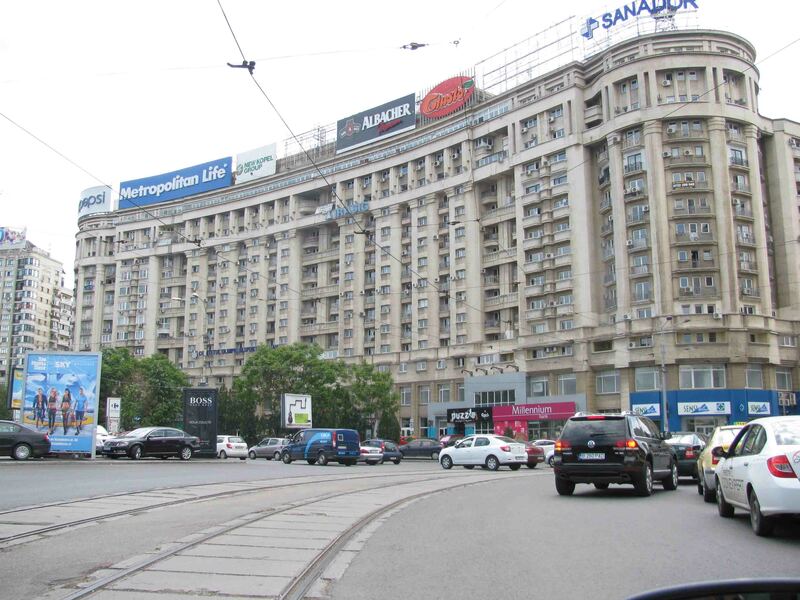 As in all former eastern block countries, the major roads are lined with almost identical ‘panel’ apartment blocks. The uniformity stems not just from communist ideology but because the concrete panels they were built from could be mass produced. Whereas other countries used them in towns and cities Ceaucescu went a stage further. His policy of forced urbanisation Systematisation saw entire traditional towns and villages levelled – including churches and monasteries – and replaced with panel apartment buildings. Incidentally, the picture is from Podul Grant, a railway bridge, named after Effingham Grant, the British consul to Bucharest in the mid-19th century (and built by his son). 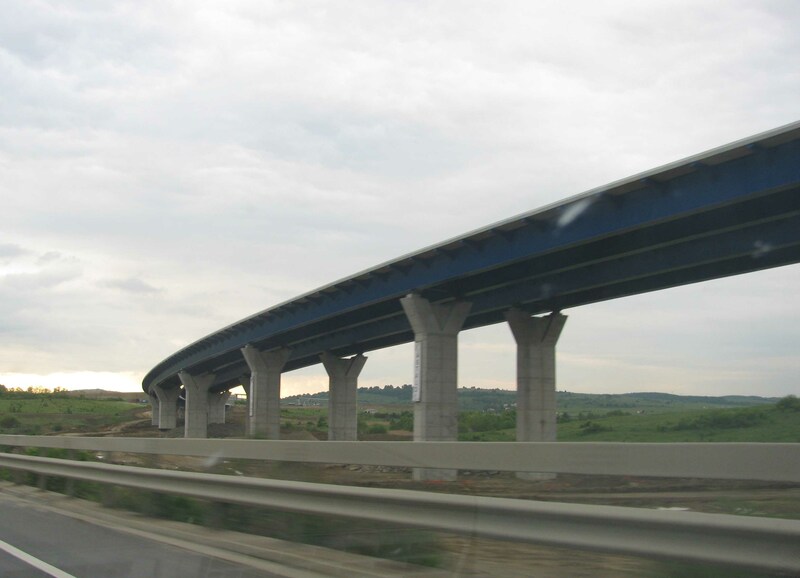 Opened in 1972, the 75 mile A1 between Bucharest and Pitesti was until 1987 the only motorway in Romania. 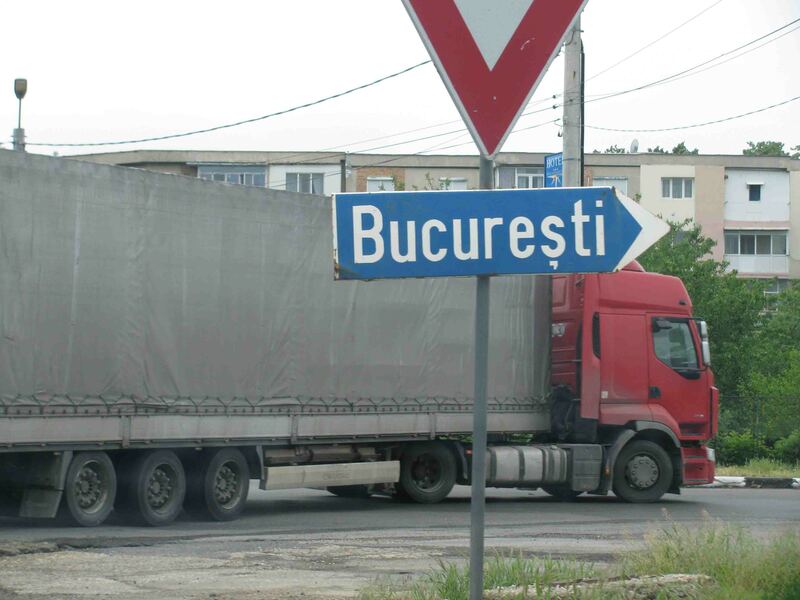 It’s trite to say the network hasn’t developed much since because there is considerable work on-going, but there are only two other completed stretches, both starting in Bucharest: the 140 mile A2 to Constanta on the Black Sea coast, and the 40 mile A3 north to oil city Ploiesti (part one of the Transylvania Highway). A1 was renovated in 2000 and is good condition though the scenery is pretty flat across the last part of the Romanian Plain. Eventually this road will stretch 360 miles north west to the Hungarian border near Arad, pretty much the direction we are going in. The entire route however will not open before 2020 at the earliest. Pitesti, pop 148k, is Romania’s 12th biggest city but an important industrial centre. The wildly successful Dacia car factory is ten miles north west at Mioveni. There are some old lead-roofed buildings, just visible through the continuous avenue of trees, but from Bvld Republic the view is mostly of panel blocks. The city’s darker claim to fame is the Pitesti Experiment, an attempt to mould the ideal Communist personality using young political prisoners and a de Sadian regime of extreme violence. Described by Alexander Solzhenitsyn as ‘the most terrible act of barbarism in the contemporary world’ it came to light after a BBC report in the early 1950s and was immediately disowned and disbanded by the State. The point is, prisoners arrived in Pitesti by train and were then marched to the prison. One survivor told documentary makers there were no people on the streets and all the curtains were shut. Repression in Romania existed long before Ceausescu’s Securitate. Not until you are within striking distance are there any signs for Transfagarasan. In the meantime, follow signs for Balea Lac, Romania’s highest lake. It’s only accessible by Transfagarasan (apart from a cable car) and, as one of the country’s top natural attractions, is very well signposted. The road you want is DN7c. Tip: the locals say Transfagarasan is most spectacular from the north. Inchis: closed. 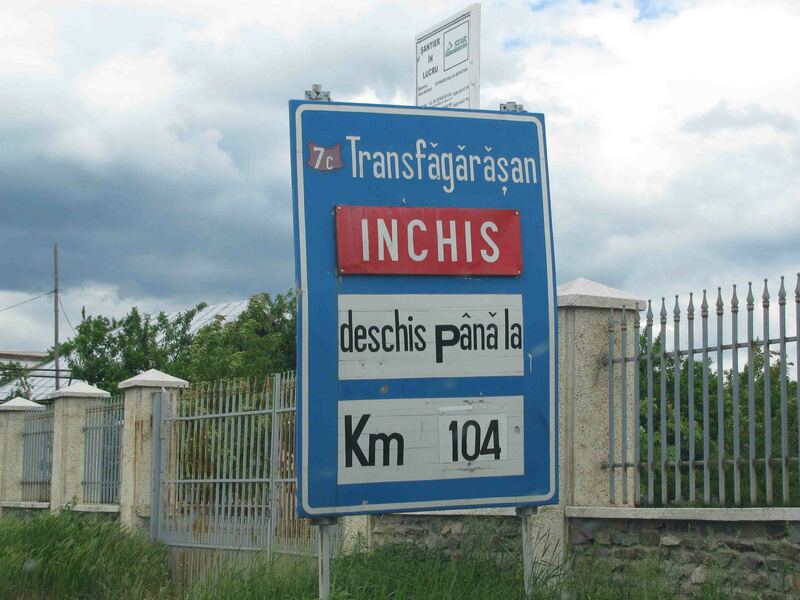 Deschis pana la 104km – open until 104km. It’s closed. Damn! Phew! It’s not an enormous shock or surprise. Well above the snow line at its highest, Transfagarasan is usually only open from late June to October. Best you don’t plan your trip outside of these dates. Because we’re here we decide to see how far we can get. 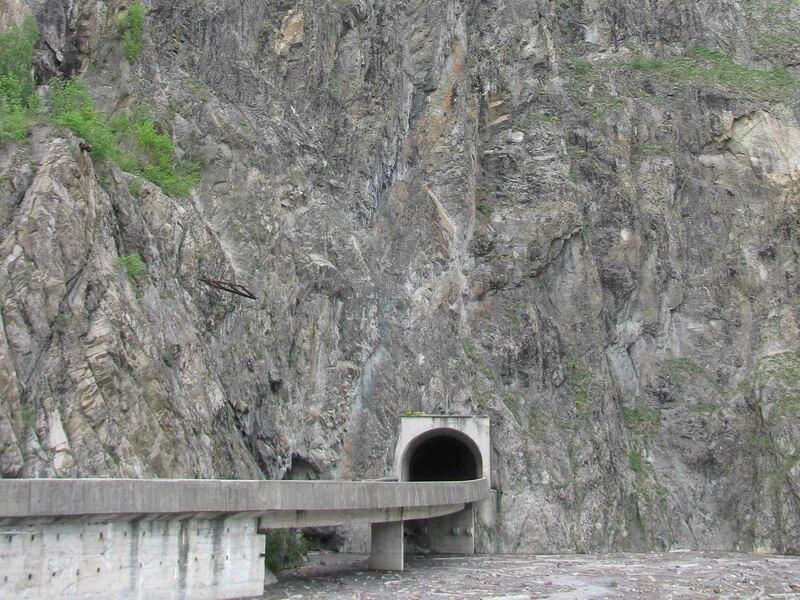 DN7C: Click for Transfagarasan’s exact location. It’s not because Transfagarasan was built out of Commie concrete forty years ago. Or that there are regular rock fall signs, and indeed regular piles of rocks by the side of the road (and we‘ve got a glass roof). It isn’t even that high. Topping out at 2034m – 6,673ft – it’s considerably lower than most tourist trap mountain passes in the Alps. What really freaks me out is that, in many places, rather than being carved out of the mountain the roadway is attached side-on to the rock face. Really, really, really don’t like that. Funnily enough, Transfagarasan wasn’t built to terrify tourists. In the early 1970s the risk of Soviet invasion was very real. Ceausescu ordered it built – over the Fagaras mountains, hence the name – as a military escape route if the worst happened. Nervous enough in our estate car, I wouldn’t fancy driving this in a tank. You wanna drive in there? To be clear it’s an access road around the lake, not part of ‘Transfag’. Anyway, there’s a Dacia Duster parked across the road by Lake Vidraru, so that’s that. For a snappily soundtracked video of driving Transfagarasan click here. Transfagarasan goes on and on and on, for over 60 miles. Now heading for level ground we can afford to be a bit indulgent. It’s so annoying! 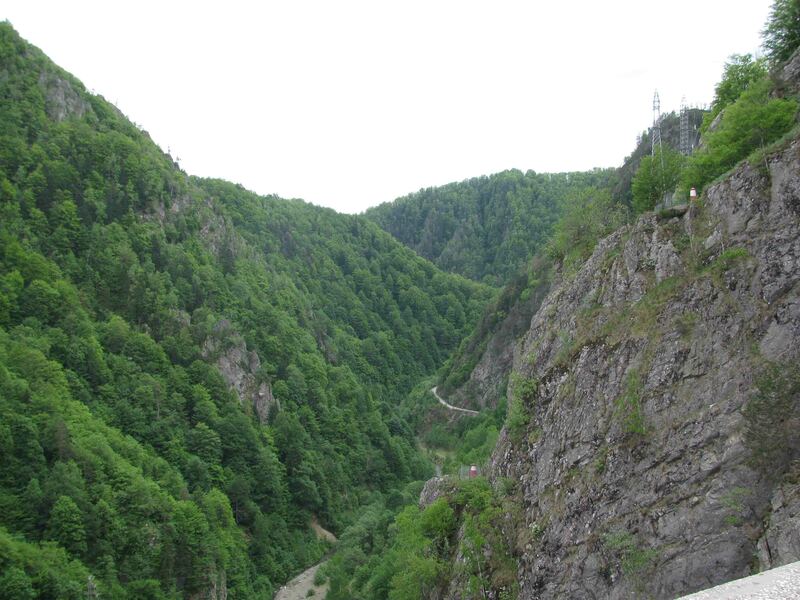 We were relying on Transfagarasan to get us up to Sibiu from where we can finally start to head west towards Hungary. 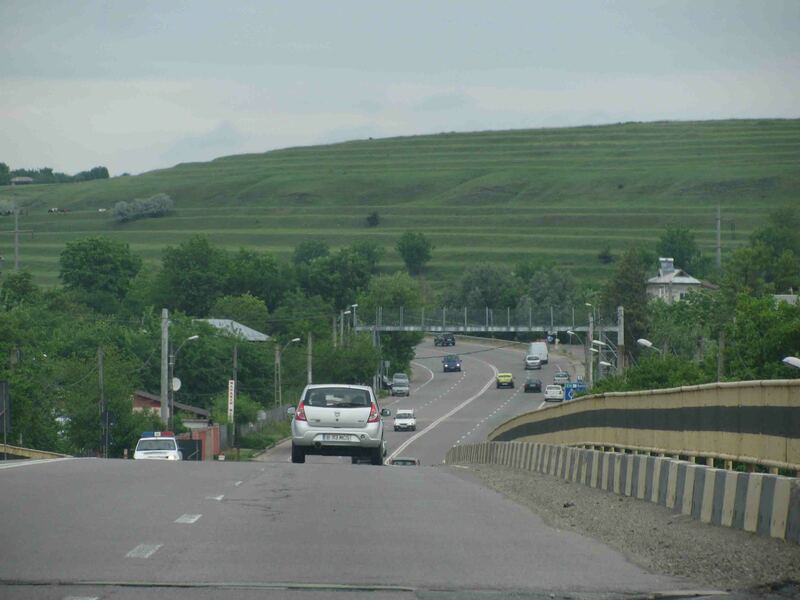 Although it’s a much gentler way over the Carpathians the alternative DN7/E81 main road is bound to be packed. There is another alternative. Romania’s other world class mountain pass DN67C Transalpina runs parallel the other side of DN7. But since it’s even higher than Transfagarasan there’s not much point investigating..
Romania desperately needs motorways. 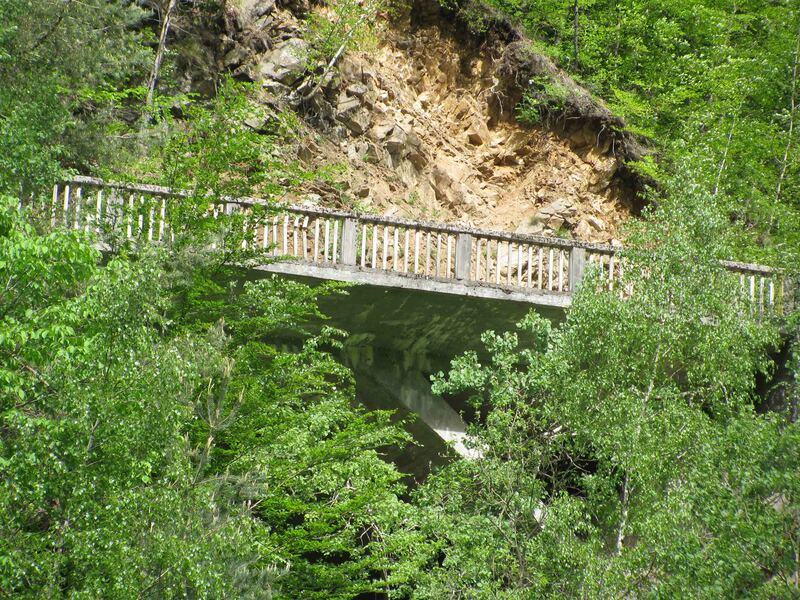 Driving DN7 up the beautiful Olt River Valley, between the Fagaras and Parang mountains, is an object lesson. It’s lined with tourist hotels and the road winds close to the river but there’s an endless steam of traffic, HGVs and cars. Making progress – and with 250+ miles to go, we need to – means constant overtaking. That’s an important factor in Romania and Bulgaria coming at the bottom of EU road safety rankings. Fortunately, rural Systematisation never had the chance to extend much further than the north east region of Moldavia. 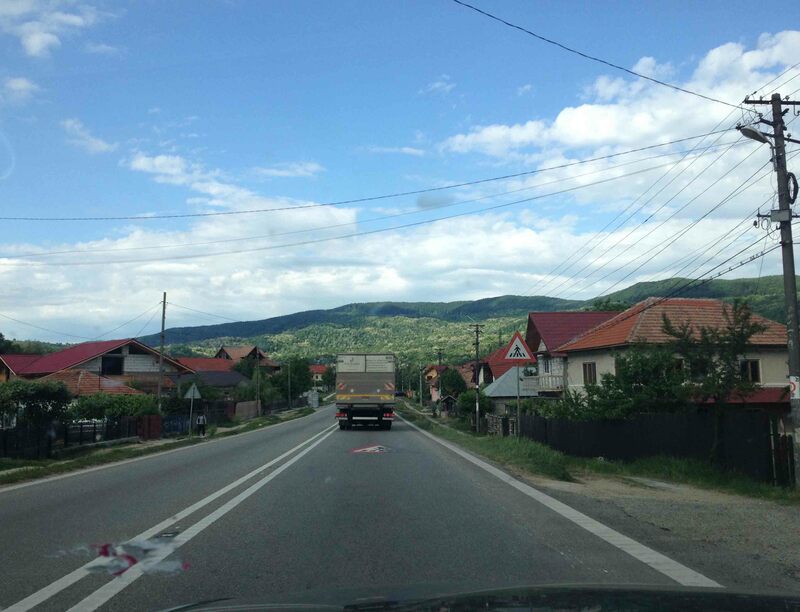 As we cross into Transylvania – basically the entire north west of Romania – the traditional towns and villages are much neater than the Commie grot in the south. The really good stuff, Transylvania’s old Saxon villages – which Prince Charles is busily buying up – are further east. 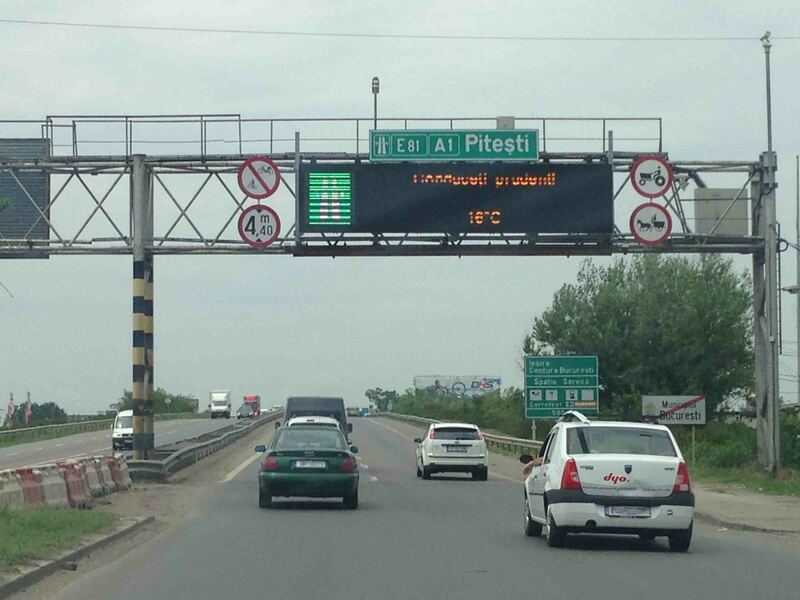 Oh how wonderful it is to top 50mph, if only for a few minutes past Sibiu (former European Capital of Culture). More or less the only parts of A1 open so far are the bypasses around the major towns. It won’t be long before this western section is complete but the huge technical challenge of crossing the Carpathians means that part is still on the drawing board. It was hard to be completely miserable, surrounded by misty mountain peaks, but I had my cheek pressed against the side window for 150 miles looking for gaps in the traffic. The poor car never gets out of third gear just in case. Near Deva it’s final decision time. Where are we going to spend the night? Arad is more convenient for the Hungarian border but doesn’t get any write up in Rough Guide. 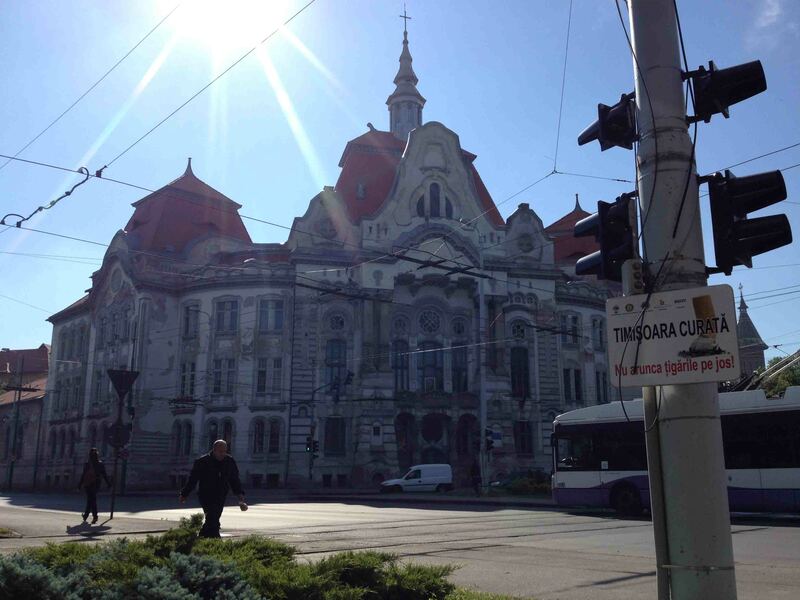 Meanwhile, equidistant Timisoara is ‘accented by regal Habsburg buildings’. The last bit is the best bit. Just after Deva we come off onto DN68A, a wonderful country road winding into the hills. There‘s nothing to see in the pitch dark however apart from the steam rising off the road. Only 100 miles to go now. It’s past eleven when we reach Timisoara. Guided by the sign on the roof we make straight for the twelve storey, 164 room Hotel Continental (another one!). It’s full. So it’s round and round the city centre desperately looking for the next sign to Hotel Excelsior. This bit wasn’t a favourite part of the day. It’s not until 00:00 precisely that we finally manage to get our gobs around a bottle of – ice cold – Peroni. 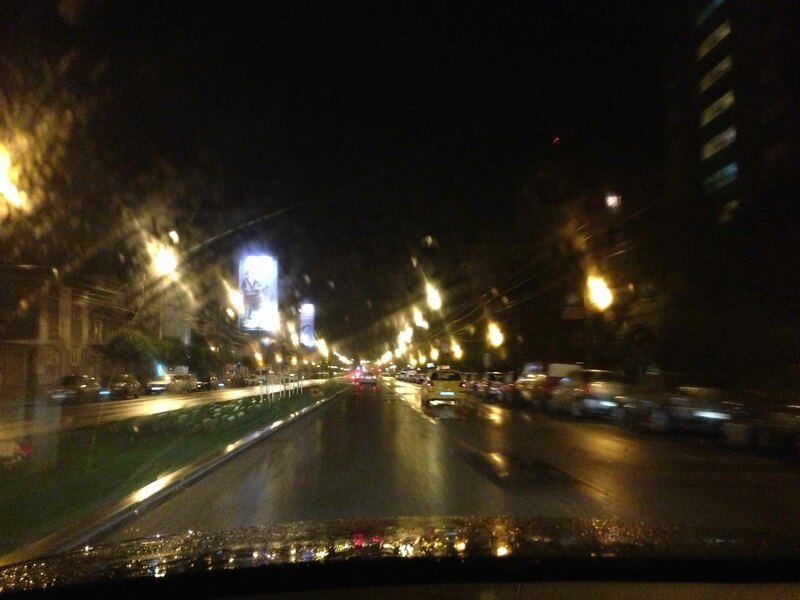 Ruse-Bucharest-Pitesti-Curtea de Arges-Sibiu-Sebes-Timisoara: 447 miles. Next: Cruise Control. From Romania to Austria in (much) less than a day. I am glad you visited our country and that you managed to gather so much information in such a short period of time. Wish you the best. Thanks Ioana. Did get rather carried away on the research but once we’d started just couldn’t stop.. Unexpectedly, Romania did exert an extra powerful pull, even compared to Greece and Bulgaria. We really look forward to seeing all the things we missed the next time.. Looking forward to visiting Romania! Thanks for the post, superb. I have driven through Romania 5 times on my way to Bulgaria and it takes as long as driving from UK to Hungarian border it has lots of places to see and great shopping bargains the people are great . 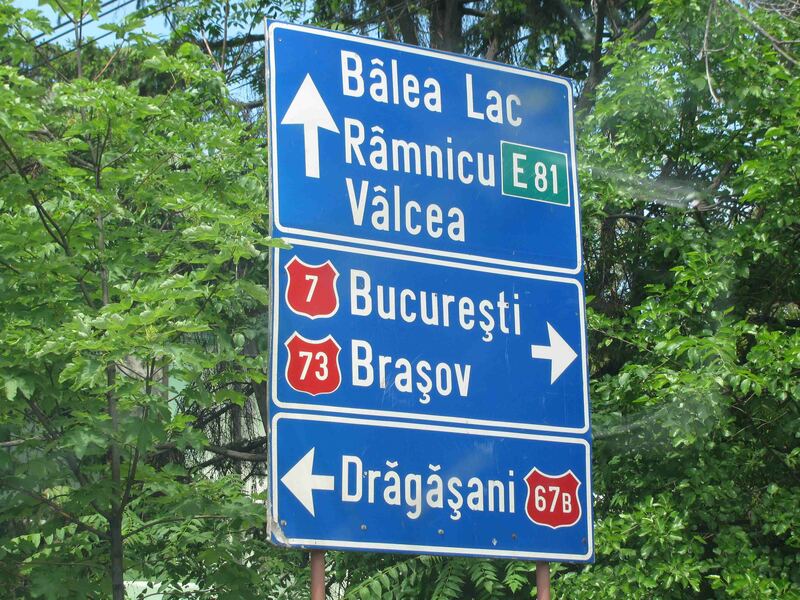 we drive across Romania every year going from Nadlac to Braila to visit my wife’s family. we have been doing it since 2003 when we got married. Our journey starts in Central London and takes three very long days averaging around 14 hours of driving a day. Luckily our Dodge Journey turbo diesel is fast and comfortable but the roads after Sibiu when the motorway ends is just village tracks across to Brasov and then over the mountains thru Nehoiu and down to Buzau and then on to Braila it is a very painful slow and boring drive, a constant obstacle course of farm animals, horse and carts filled with old people and children, Dacia cars with bails of straw and sofas tied to their roofs and babushka’s walking along the with their goats and cows. 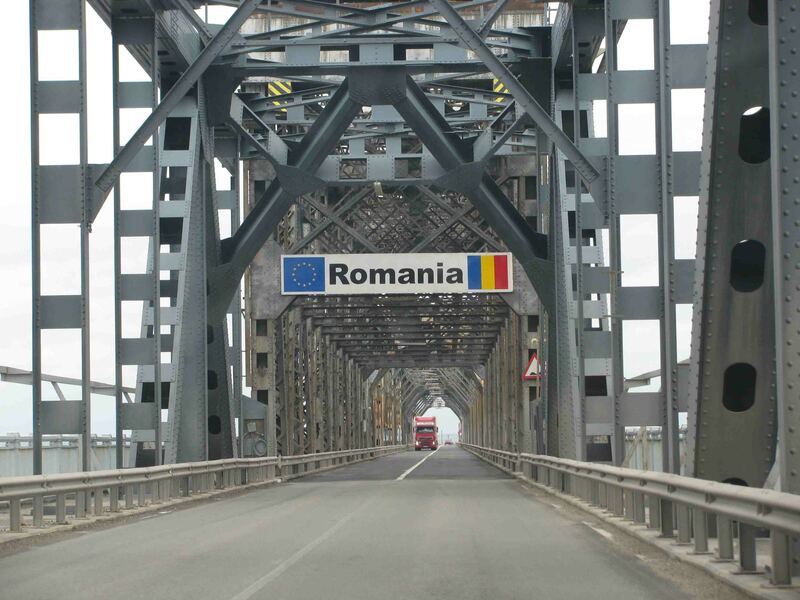 I love Romania, the beer is the best in the world, I just wish they could build more motorways before I die.